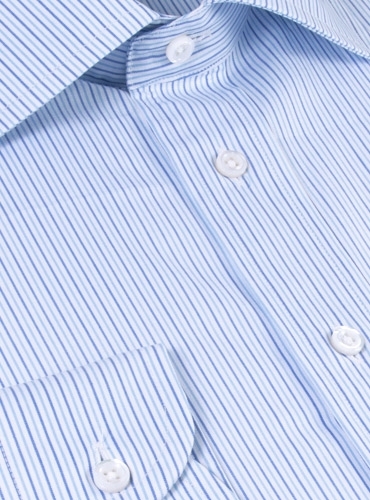 Italian woven zephyr supreme cotton from S.I.C. 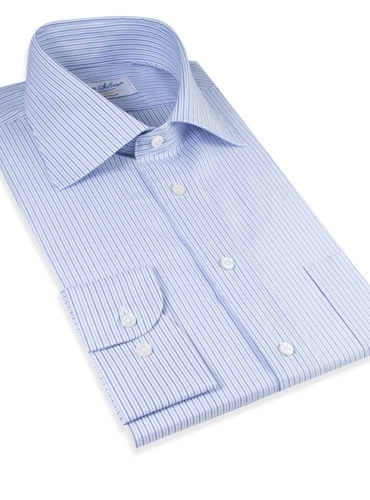 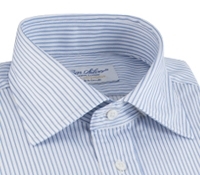 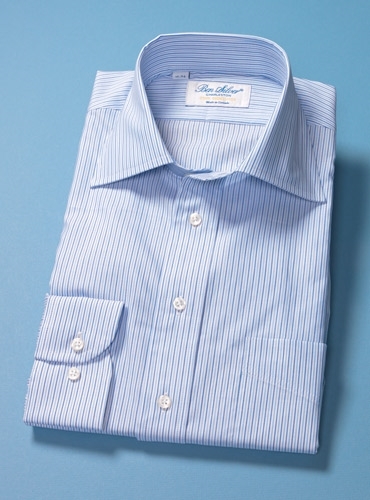 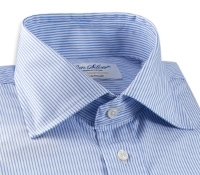 Tess, the renowned Italian mill, in 2-ply 120s cotton, with a spread collar and button cuff. 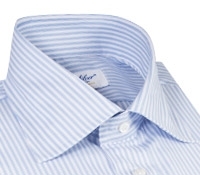 White ground with sky and denim blue thin stripes.